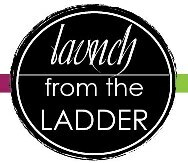 Launch From The Ladder is a done for you program that you can use with any client who wants to ditch the 9 to 5 but has to launch their business while still holding onto that corporate ladder. Fact: the economic landscape is rapidly changing and the stability of a job has turned into instability; the freedom technology was going to offer us has only doubled the work, burned us out creating a ripe market for coaches to offer clients a way to ditch the heels for flip flops and the neck tie for shades. Most of all, the need to #BecomeBoss is ingrained in our culture, people just need to know how! BONUS: A 30 minute strategy session with me when you complete the program to help you with implementation and marketing! This course is approved for 20 BCC CEUs. Equip yourself and your clients with the skills and steps to ditch the cube and the proverbial “corporate ladder” for independence, purpose and freedom through this unique coaching program!